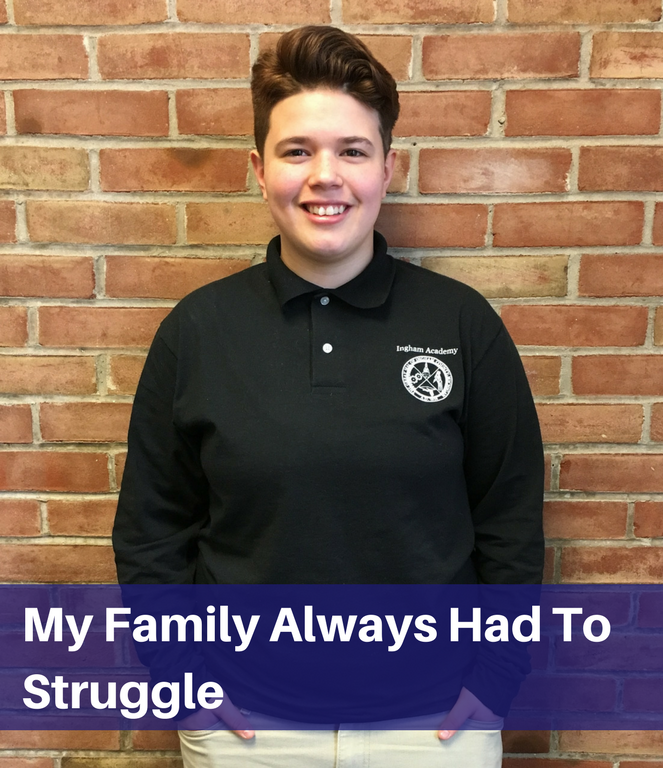 My Family Always Had To Struggle | Highfields, Inc.
Helana used to doubt her potential. She felt like she wasn’t good enough to go to school. She didn’t aspire to graduate or go to college. She was going to figure out a way to make a living off whatever job she could find. She skipped so much school that she was put on probation. The judge sent her to Ingham Academy, a day treatment program and alternative school for court adjudicated youth that is operated by Ingham County Circuit Court, Ingham Intermediate School District, Peckham, and Highfields. When Helana first found out she was being sent to Ingham Academy, she cried. At first she still had trouble coming to school and argued with her Probation Officer a lot. However, after a rough beginning, Helana finally started changing her attitude. With the support of her teachers and Highfields’ behavioral specialists, Helana was able to stay in school and focus on her classes. She went from 9th grade to 11th grade in one year! She also started working at Peckham on the Special Projects Floor. She checks the equipment and merchandise they put out and is also responsible for training other students. Without the support of Ingham Academy and Highfields, Helana thinks she would have dropped out of high school, jobless and struggling. Now her sights are set on college and making a better life for herself and her family.